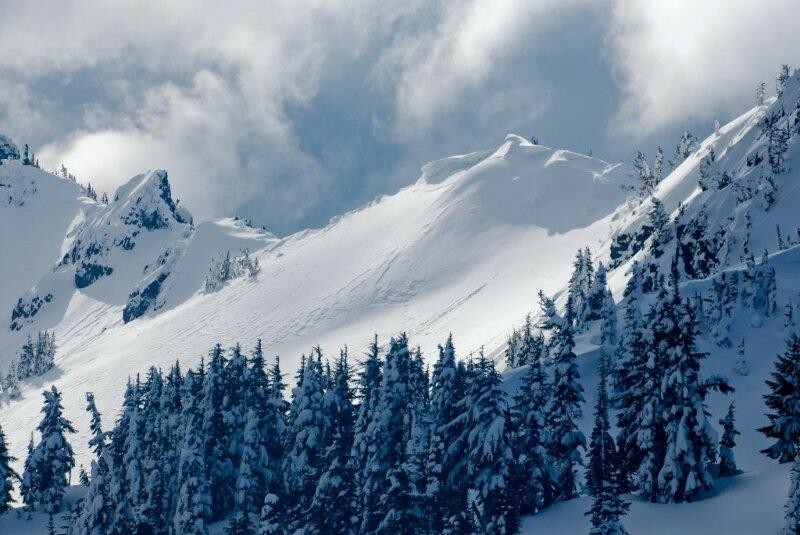 50 miles west of Yakima and 110 miles east of Tacoma, Washington, White Pass Ski Area is just 12 miles southeast of Mt. Rainer National Park in the Washington Cascades. White Pass offers a vertical rise of over 2,000 ft. and 1,500 accessible acres with terrain from beginner to advanced for skiers and riders. 8 lifts service the area and includes a Nordic area as well as terrain parks for the freestylers. Summit House is a full-service restaurant with lounge, cafeteria, and light bar service. Ski shop, store, service station, and post office. Daily child care in day lodge. First aid at area, hospitals in Morton or Yakima, 50 miles away. Ski and cross-country rental and repairs available. Group or private lessons. Beginner package specials; kids' and women's clinics; 40+ workshops.